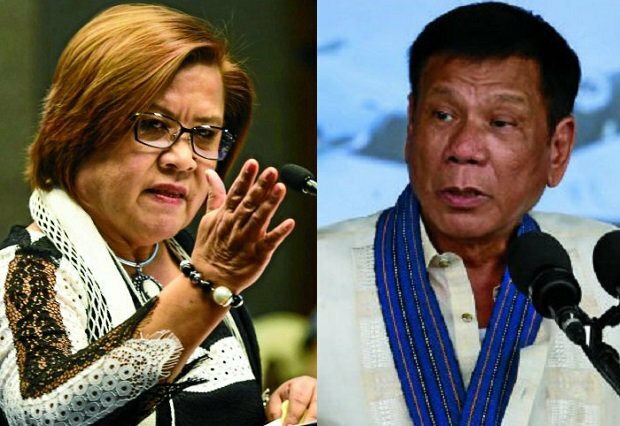 Senator Leila de Lima described President Rodrigo R. Duterte's pronouncement that China might protect the Philippines from outside attacked "hilarious". “This is hilarious, because the only country from whom the Philippines needs protecting is China. Only Duterte needs China’s protection. The rest of us needs protection from Duterte and China,” De Lima said. Senator Antonio Trillanes IV has filed a resolution to investigate the aggressive movement of China to install missile machinery near Palawan. “I support the initiative of the Senate leadership to conduct a legislative inquiry on the deployment of Chinese missiles in the Spratlys,” De Lima said.